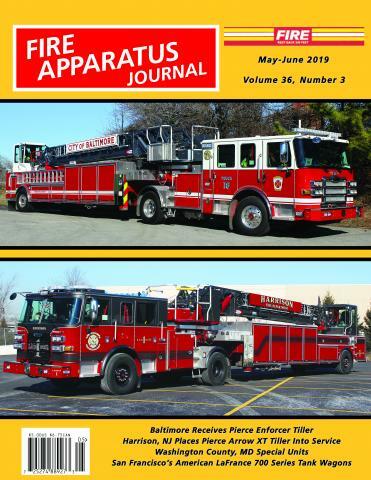 Metro-New Jersey by Ron Jeffers | Fire Apparatus Journal Inc.
the type of apparatus in service varies widely. The Metro New Jersey Update is written by Ron Jeffers. Ron Jeffers is a retired Union City, NJ, police sergeant. He attended fire science courses at Oklahoma State University and New York City Community College. He served as a volunteer firefighter in Stillwater, OK, and as an auxiliary firefighter in Newark, NJ. He is Honorary Jersey City and North Hudson Regional Fire Department Battalion Chief/Photographer, and Fire Scene photographer for Bayonne, Lodi and Rochelle Park, NJ. Ron also serves as editor of Emergency Services News New Jersey Edition and is the author of Fire Apparatus of the Jersey City Fire Department. His fire and apparatus photos have appeared in numerous publications. He is also a member of the Cliffside Park Fire Department, a charter member of the New Jersey Metro Fire Photographer's Association, and curator of the Union City Fire Museum.